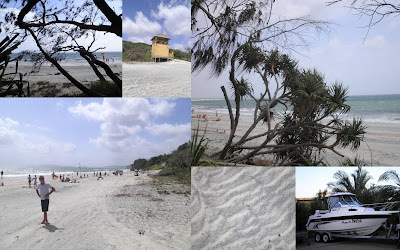 We went a little further north last week and re-visited our old home town, Rainbow Beach. Top left to right: Views across to Fraser Island through the casurina trees. Inspiration for my TAST piece this week. The palm trees at the back of our holiday unit. My piece is still a work in progress. It will have a wavy border all done in buttonhole stitch and I will add a little more colour into the palm leaves. I have only brought a very limited amount of threads to the beach with me and the leaf colour was not really what I was after. The waves were done with lovely variegated sashiko thread which was gifted to me by Judy. Thanks Judy - I just love the texture this gave me. My journal notes for the buttonhole stitch. This beach bum life is pretty darn good - coming to an end on Thursday. :-(( sad, sad, face. Wow Di, Rainbow Beach was very inspirational for you love it love it love it. You done great girl. 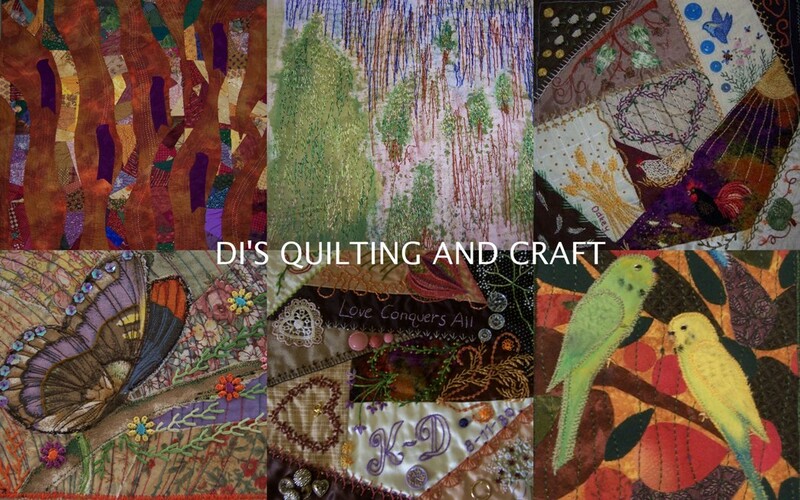 Di, I love what you've stitched here! So sorry your beach life is coming to a close. Neat sketches of your stitches. Organized, you are! Dianne, your buttonhole 'scene' is so nice, not long saw it on SF. I hope your last few days at the coast are pleasant. Your journal page looks really good. After a long time I am looking again at blogs - I saw your beach photos and my first thought was: SNOW! But of course only the very first one - because our surroundings are like that at present in the French mountains - and you are in the middle of summer. I envy you for your warm weather. Your beach scene is so nice, that I am delighted. Thank you for your kind comments everyone, Valerie, I am unable to reply direct to you, but thank you for taking the time to comment.